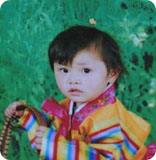 One Time Donation: Your contribution will help save and improve the Chinese children's life. Please click here to donate now. Thank you on behalf of the children for your caring and generosity! We'll receive at least 4% referral fees if you shop through us. Note: Contributions without designation will go to the Emergency Fund to be used by any children in urgent needs.